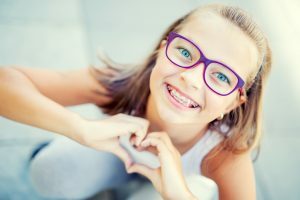 Fully insured dental benefits include coverage for dental exams, cleanings, treatment and services, including endodontics, periodontics, oral surgery, crowns, bridges, dentures, as well as orthodontics for dependent children. Dental indemnity benefits are also available, which include coverage for preventive dental care, cleanings, x-rays and procedures, such as fillings and extractions. Benefits are underwritten by either United Concordia or Reliance Standard, both A-rated carriers with a strong national network of providers. AWA Dental is a fixed indemnity dental insurance plan that pays for services/procedures based on a schedule of benefits called Table of Dental Procedures. Members will know exactly what the plan will pay, procedure by procedure, before they go to the dentist. Combined with valuable association benefits, AWA Dental is designed to help members manage their dental health needs. AWA Dental Plus is a fully insured dental plan that pays for services and procedures based on a graduating scale of benefits percentages that increase over a period of three years. AWA Dental Plus also includes an orthodontic benefit for dependent children to age 19. With prescription savings and an additional vision savings, members find value in AWA Dental Plus. For more information on AWA memberships that include dental benefits, please contact us here.